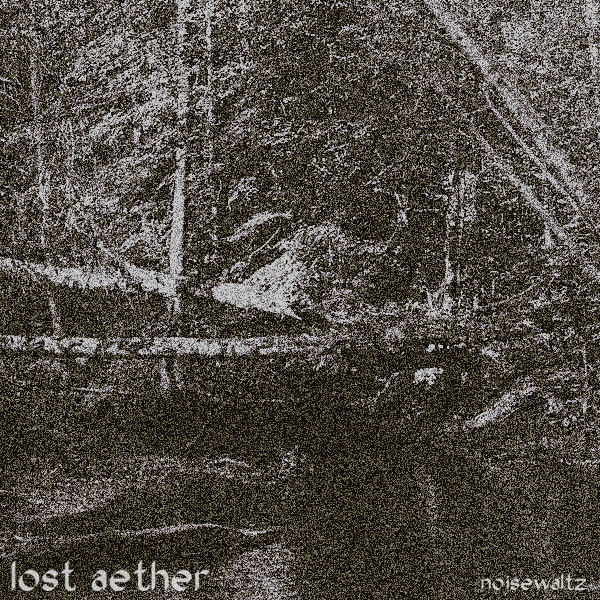 Lost Aether is a musical project of two musicians, from a Russian city Obninsk, with nicknames DaFT (synth, noise, vocal) and Stolb (guitar), who write experimental/field recording/dark ambient/drone/noise music since 2008. “Noisewaltz” is considered to be their first album. First thing, that you can notice, is the structure of the album – the noisy core is enclosed by the first and last mild ambient tracks, which may be to smooth the rigidity of the central pieces, which overwhelm the listener by the rush and bursts of noise. For example, “The Noise Of The Sun” and “1989” are full of unexpectedness and unpredictability, while the first track “Untitled” and the last “In Search Of” are classical ambient compositions, in spite of their grungy sounding. In the exact center of the playlist of “Noisewaltz”, there is the transitional – in respect of noise/mild sound ratio – track, called “III”. So, here we can certainly observe the symmetric architecture of sounding – from almost tender atmosphere to furious, explosive attacks, to some kind of transition, again to bursts, and at last – to the happy ending. Lost Aether doesn’t have any official release, the band publishes their albums on lastfm.ru and on Myspace, however, it has grateful listeners. At the moment the group stopped its activity, but I hope they did it just to gather up with subsequent continuation of making music. Their music is really gripping and interesting, and it is worthy of attention.